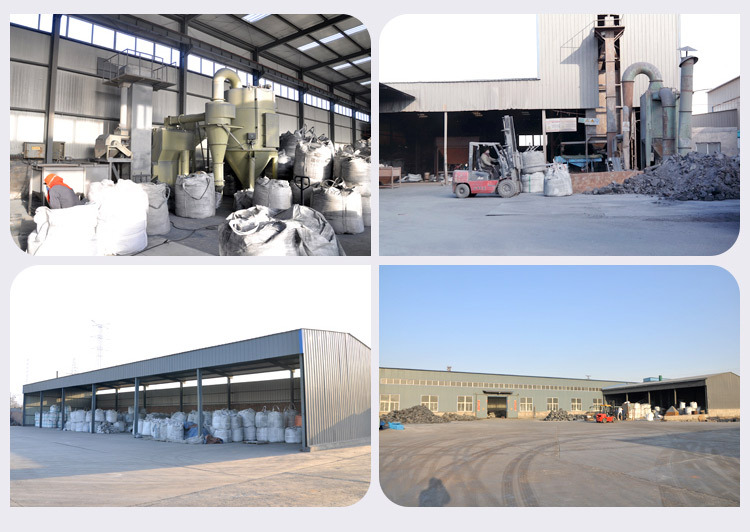 Ningxia Xing Kai Silicon Industry Co., Ltd.
Ningxia Xingkai silicon industry co.,Ltd is located in Taisha industrial park, Pingluo county, Shizuishan city. The industrial park is close to the Beijing-Tibet highway and Baotou-Lanzhou railway, and it is connected with 109 national highway and 201 provincial highway through Pingda Pingxi highway. The company was founded in May 2012,the registered capital is 6 million yuan. The company mainly engaged in deep processing Silicon Carbide products and international standard silicon carbide products. The products of coal-based Activated Carbon and carburant which used high-quality Ningxia Taixi anthracite as raw materials. In 2017, the company's operating incomes is more than 90 million yuan, including more than 40 million yuan foreign trade sales.The foreign trade export business is increased about 40% compared with 2016. Since the establishment of the enterprise,we paying attention to scientific management and strategic development, focusing on the deep processing of silicon carbide business. 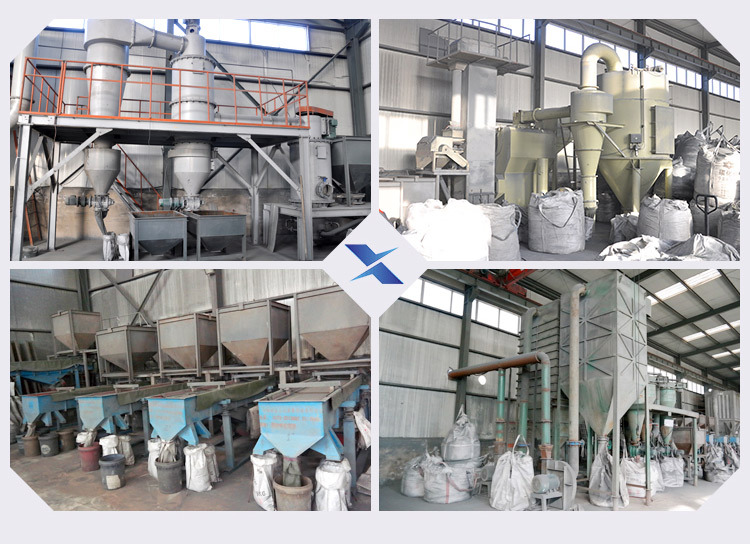 The product lines from the primary particle processing has been extended to Silicon Carbide Powder processing. In the leading position in Ningxia silicon carbide processing industry. Silicon carbide micro-powder revenues accounted for more than 80% of the enterprise sales income. We mainly adhere to export and our customers from all over the world, accordingly we have several long-term cooperation foreign enterprises and have been obtained good economic and social benefits. The company constantly persevere in protecting the environment and taking the road of green development.The factory plant greening reached more than 90%. In June 2016, the company processed 20,000 tons silicon carbide powder. The Environmental Monitoring Station tested that dust and noise emission from the factory meet the national emission standards, and checked the supporting environmental protection facilities of the main project.Finally we obtain the acceptance report because of the acceptance conditions of environmental protection for the completion of the construction project.In 2018, our company and ....several products passed the German TUV certification, which makes our products are more competitive in the domestic similar products. It lays a solid foundation for our company to further development in the international market. The company adheres innovative development to enhance the core competitiveness of enterprises. Innovation is the wellhead for the transformation and upgrading of silicon carbide industry to develop and improve of production technology. The enterprise product lines from primary particle processing to silicon carbide powder processing have been introduced the air flow abrasive production line and analysis machine pipeline and other domestic advanced production equipment, which in the leading position in this field. The high quality micro-powder silicon carbide products has low impurities, fine particle size characteristics. It has filled the blank of high-grade silicon carbide powder production in our country, and is the leader of silicon carbide production industry in Ningxia. The company has instantly transformed the equipment to improve the production efficiency and reduce the labor cost. The company seized the opportunity to actively promote the industrial structure optimization and upgrading. In September 6th 2015,the company formally signed with the Alibaba Network Company, and Start to do cross-border e-commerce. Up to now, more than 40% products are traded online, and the annual turnover is more than ten million. In 2015, 2018, the company participated the largest biennial Europe's ceramic exhibition that held in Munich, Germany. This exhibition through publicity really makes the silicon carbide go to the world. The company follow the [honesty and trustworthiness, quality-oriented, mutual benefit, pursuit excellence"business philosophy; [Demands different, Quality unchanged"as the aim has set a good example in social development. 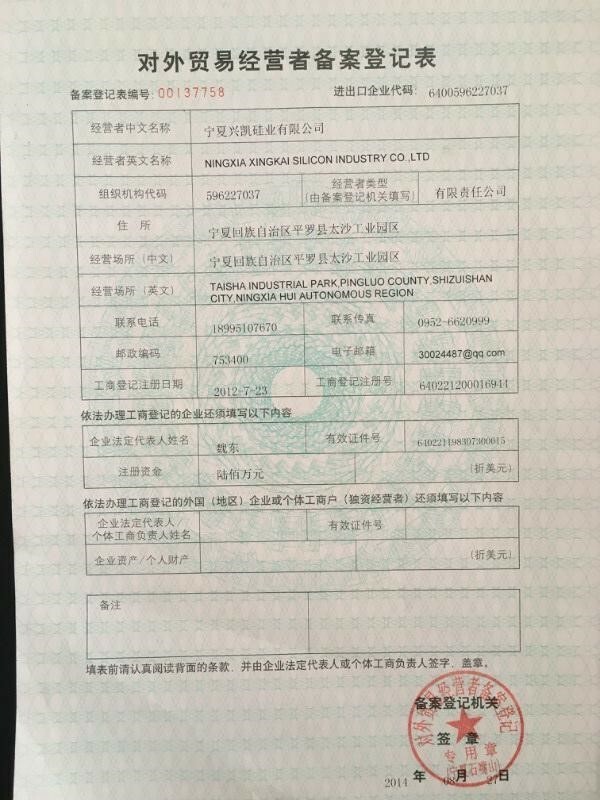 Ningxia Xingkai silicon industry co., Ltd. Will make great efforts to create high value products of silicon carbide and become a professional enterprise that specialized in silicon carbide in Ningxia. Our company will lay a solid foundation for the future development of the enterprises and make great contributes to our country.